A skilled and artful surgeon, Dr. Severinac combines a true love of surgery with his creative mind. 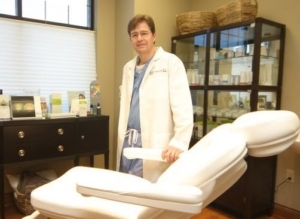 He has been in private practice since 1995 and is certified by the American Board of Plastic Surgery. This certification, the “gold standard” for plastic and reconstructive surgery, requires rigorous training and examinations. In addition, Dr. Severinac is the co-founder and co-director of the Children’s Craniofacial Center in Fort Wayne, Indiana. The center specializes in a team approach to treating cleft lip and palate for babies and children here and mission babies from Africa. Dr. Severinac’s passion for helping children with deformities was fundamental to his decision in becoming a plastic surgeon. After graduating Phi Beta Kappa from Kalamazoo College in Michigan, with a Major in Biology and Minor in Music Composition, Dr. Severinac went on to earn his medical degree from Wayne State University in Detroit. He graduated in the top 10 percent of his class and earned membership in the prestigious Alpha Omega Alpha Medical Honor Society for scholastic honors and extracurricular contributions to the community. 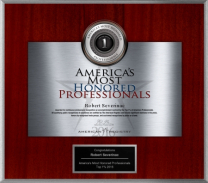 He then completed his General Surgery and Plastic and Reconstructive Surgery residency training in Grand Rapids, Michigan, followed by a fellowship in Charlotte, North Carolina, emphasizing Craniofacial Surgery. 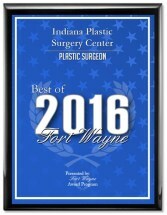 He began practicing plastic surgery in Fort Wayne, Indiana in 1995. 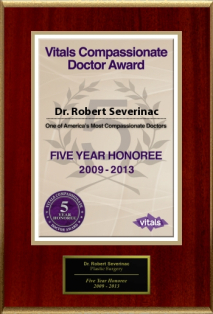 Dr. Severinac chose plastic surgery through the typical medical school evolution. Initially he thought he would be a pediatrician. In his 3rd year of medical school’s first rotation, Pediatrics was satisfying but something was missing. His second rotation was in General Surgery in which he immediately realized that using his hands in a meaningful and creative way was going to be a central part of his profession. His third rotation was in Plastic Surgery and his first case was the repair of a babies cleft lip and palate. It all came together and he pursued training in Plastic and Reconstructive Surgery. 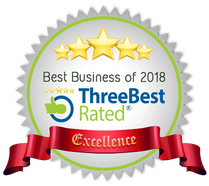 "I would recommend him and his staff to anyone!" "He did an amazing job!" "They were great and very responsive!" "He made me feel very comfortable!" 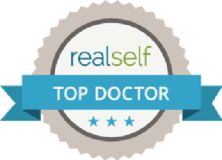 I had breast augmentation with Dr. Severinac and had a great experience. I went with 250cc saline implants which were the perfect size for me. My goal was to look natural and that’s exactly how I feel now. I am very athletic, and was a bit apprehensive about getting back to training. After listening to my body through recovery, after a few months I was able to do everything I was doing before surgery. It has now been 8 months. My implants feel like a part of me. 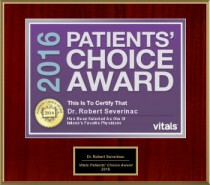 Dr. Severinac was great, he made me feel very comfortable. The staff was also great every step of the process. 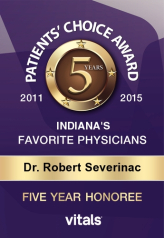 "Dr. Severinac was personable and flawless!" "I’m a very happy, satisfied!" 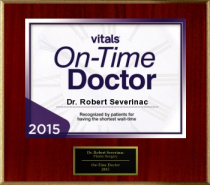 Dr. Severinac is the best at what he does! "He is very respectful, experienced and talented!"